I think this guy is too young to start HTs. He soon will have hair islands surrounde by bald areas. He is going to be “adicted” to ht for a long time. I wonder what kind of work he had before, he only had plugs near the temples and they are spaced so so so wide apart too. The key to a perfect hairline when it comes to transplants is of course singles, but also angulation. Dr. Bisanga does this 100 %!! » singles, but also angulation. Dr. Bisanga does this 100 %!! Agreed, especially on his angulation ability. I think it is down to using slits as well as his skill. » temples and they are spaced so so so wide apart too. I noticed that to. The work Dr. Bisanga did on that patient looks very good. Wow great result. Especially considering the plugs that had to be removed. Dr Bisanga, that’s an excellent transformation from ugly to amazing. Very nicely done. Thank you for all the comments, this has made a major difference to this man’s life after having to live with the unnatural plugs for the last years. Our patient had his first op about three years ago in the world renowned country for HT’s, Morocco; a strip with very poor placement, angles and distribution of the plugs and yield. 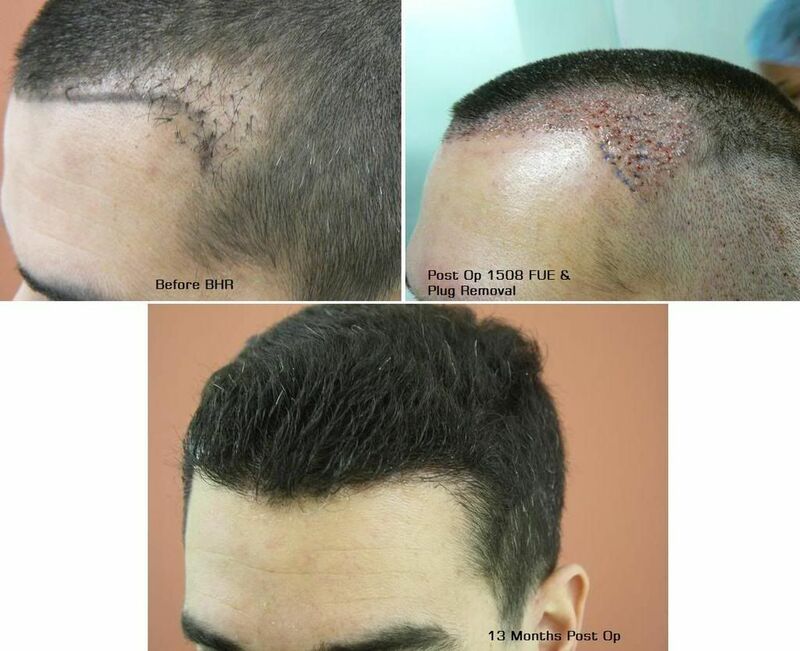 His goal now was to camouflage the old work, only restore his temple points in a minimal fashion and bite into his temples where his hair was miniaturising using just 1500 grafts with FUE. 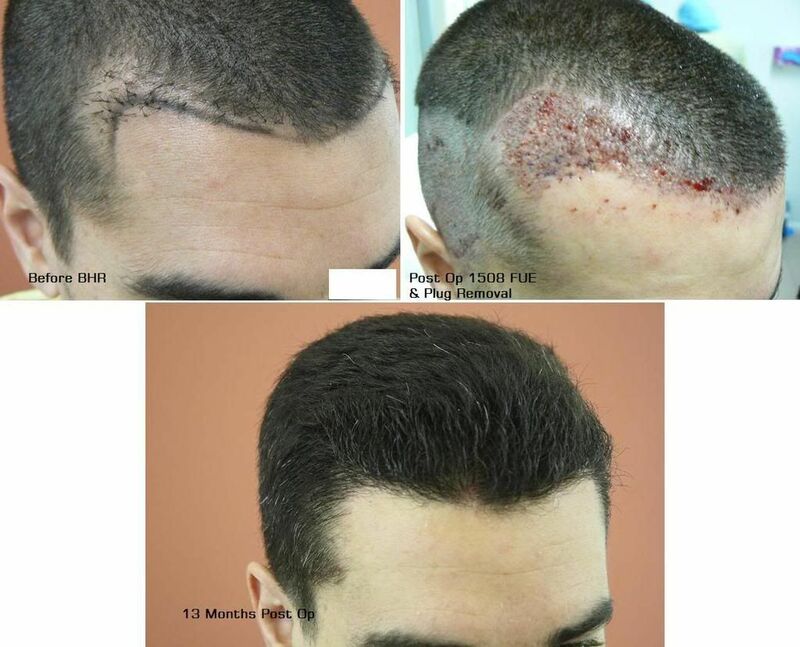 He is 30 years old has been using Propecia and minox. for some years, has a donor area density average of 85 FUcm2 with good number of higher hair groups; family history father is a NW2.